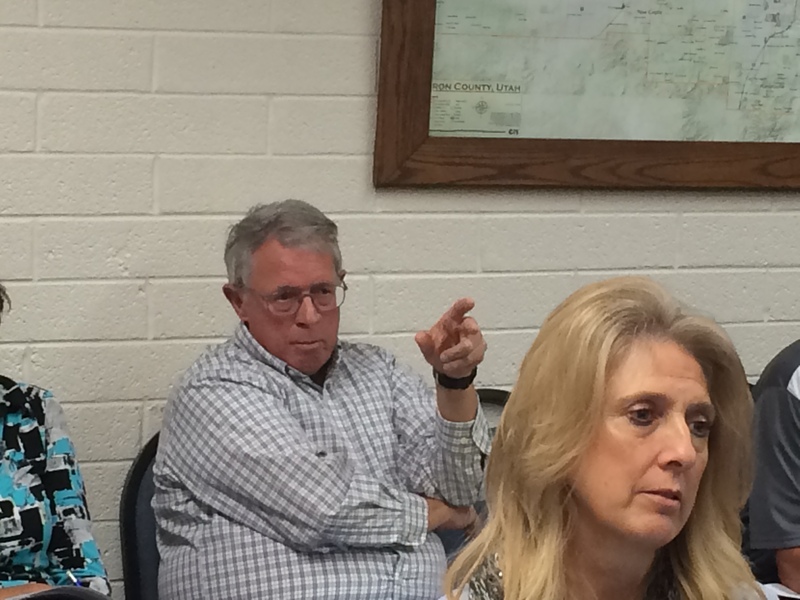 PAROWAN – Though Monday morning’s Iron County Commission meeting started off slowly, things heated up quickly when the commission began to discuss a change to county zoning ordinances that did not rest well with one community member in the room. All the same, the commission voted to approve the new ordinance unanimously. The issue was whether or not to approve the Planning Commission’s request to rezone A-20 land to RA-20 land. The rezoning discussion began in 2014 but has been such a hot-button issue that it took more than six months to bring the request before the County Commission for a vote. Hundreds of landowners attended the first public hearing about the rezoning in December 2014, property owner Butch Kramer said. Though Kramer and Iron County Planning/Special Services Coordinator Reed Erickson disagreed on whether 200 or 400 residents attended the earlier meeting, Erickson didn’t object when Kramer pointed out that only about 20 people in the room raised their hand in support of the rezone that night. The major contention was that the rezone would limit and impede current property owners’ abilities to use their land as they see fit based on the original zoning that existed when they purchased the land. …designed to protect and preserve lands suited for farming, ranching, the production of food and fiber, open recreational parks, services or related purposes and services providing rural lodges and minimal rural estate living, and to encourage open areas for the protection from encroachment of incompatible uses. The new RA-20, or Rural Agricultural, designation would make it so low-density rural development of single-family detached residential homes on 20-acre lots would coexist with property owners who are using the land according to the current ordinances. The worry is that by allocating property RA-20, residents who currently have an A-20 zoning would be limited to the use of the land which they own Kramer said. By having A-20 lots next to RA-20 lots, he said, there is the potential for problems to arise between new landowners who didn’t research their neighbor’s livelihoods and current property owners who have worked their land the same way for decades. The new zoning designation will not rezone current A-20 properties that are owned by residents, County Commissioner David Miller said. Miller acts as a liaison between the planning commission and the county commission and attends all of the planning meetings. Land parcels that will be affected by the change have not been chosen yet, Miller said, and that stage of the new zoning allocation will take some time and significant consideration for the wants and needs of the majority of landowners. When the idea was first presented, Kramer said, the planning commission had devised a map to show the potential lots that would be rezoned, which it seemed as though the commission was “cherry-picking” property for their own clandestine reasons. However, the map was tossed out the moment the planning commission heard public commentary, Miller said. It became obvious early on that the map would not work in the long run and the plan was quickly abandoned, he said. 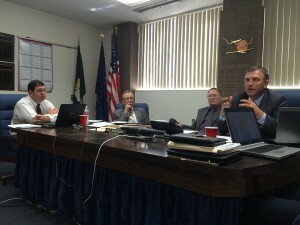 The decision about what land to zone with the new AR-20 designation will not be made lightly, Iron County Planning Commission Chairman Ron Larsen said, as there are many things to consider. Since the new zoning designation will impact less than 1 percent of the properties in Iron County, the first thing to consider is where the new zoning would best fit, based on population densities and future growth, Larsen said. If it doesn’t make sense to put the zones in a specific area, or if the planning commission receives a lot of complaints from current landowners in opposition of the rezoning, Larsen said, the commission will most likely look elsewhere. 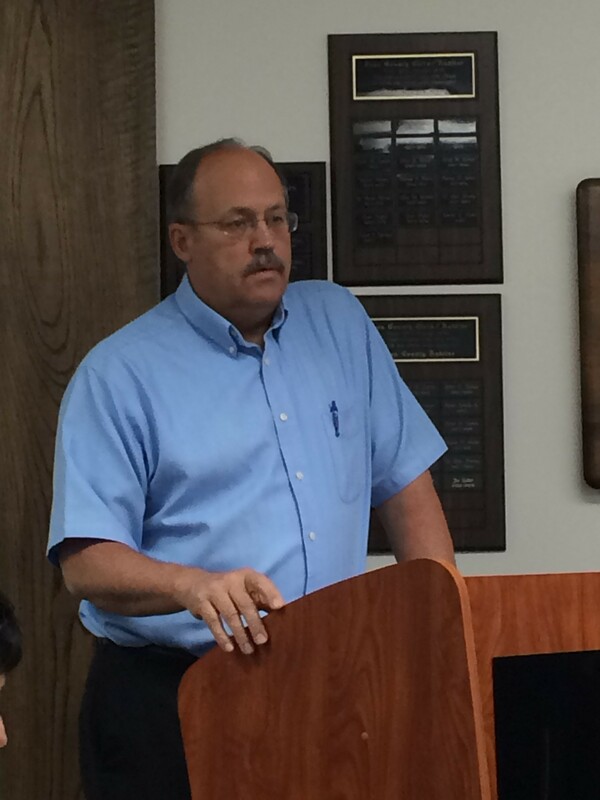 Current landowners will also have the opportunity to request a zoning change if they want to do so, he said. There has been a lot of public confusion about how the new zone will impact residents and property owners, Larsen said, but the key to understanding what will be allowed under the new allocation is in the use definitions of the current code. For example, under the A-20 zone definition, constructing an “accessory dwelling” is allowed, but under the RA-20 zone it is not. If property owners examine the definitions however, Larsen said, they would find that a “guest house” is perfectly acceptable. There is a lot of confusion, Larsen said, because there are similarly defined, but different, terms listed on the table of uses, something he would like to see condensed and simplified to avoid future confusion and stress for both land owners and the planning commission members. Ed. note: Attribution clarified regarding potential lots to be rezoned. I love the “finger of shame” in Mr. Butch Kramer’s photo! You tell ’em. Next, the controversial approval of voting on their own raises and a pension increase.